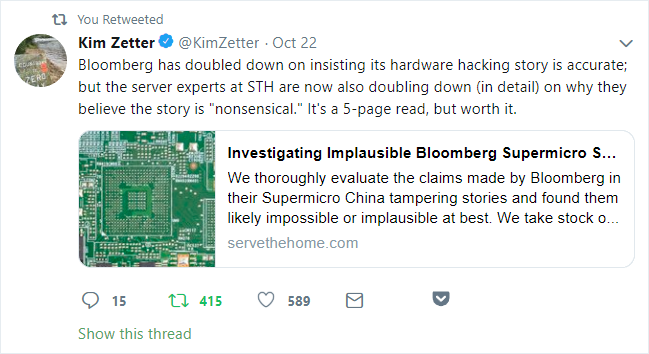 TinkerTry is not a news site, but I have written a lot of how to articles about Supermicro systems based on Intel's versatile Xeon D-1500 SoC motherboard. They all have a BMC (Baseboard Management Controller) for management, as do most servers. The particular BMC chips used for Xeon D-1500 is the AST2400, and for newer Xeon D-2100, it's AST2500. 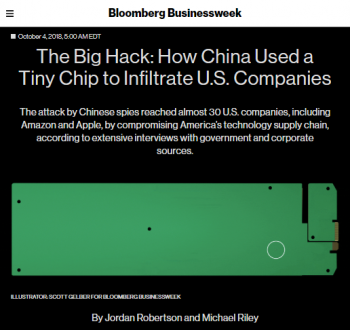 So it's not particularly surprising that I've been asked by more than a few people what I think of this story, starting soon after Bloomberg's article was published at 5am eastern today. If the past year of CPU flaws with security taught us anything, drawing firm conclusions or even strong opinions in the first days doesn't tend to do much good. 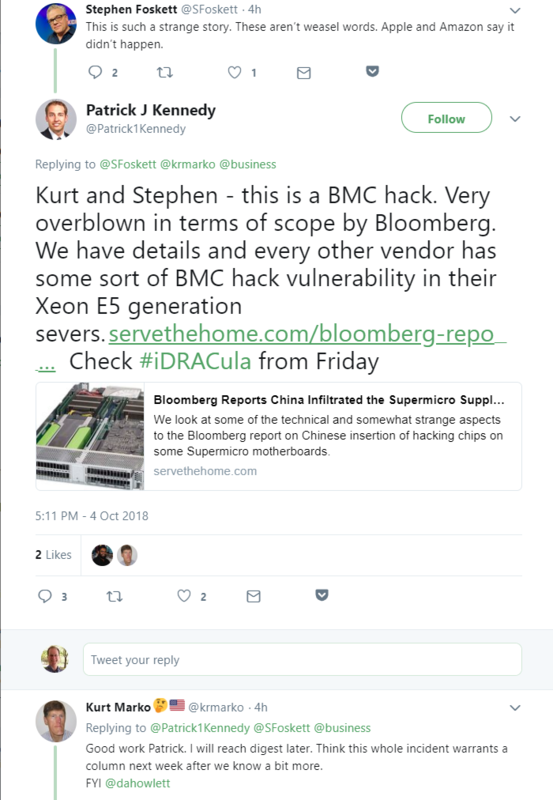 It is worth noting that the accusations appear to be about 2015-vintage cloud-scale deployments of unnamed Supermicro systems. Based on images in the article, they seem to be in a less common form factor, with little to nothing in common with any of the Xeon D systems that home lab enthusiasts have personally benefited from, myself included. Here's the article that started the remarkably strong reactions. I'm personally not sure what I think of the accusations yet. It tends to take time for stories to be fully understood. I tried not to think much of anything until I could sit down after work and read not just the ENTIRE source story, but also ALL three official responses, which weren't all available until earlier this evening. In my personal opinion, these are some of the most vehement objections to such accusations, ever. All-in-all, a strange day. Yes, that's all I have. Sifting through is up to you. At least this article helps guide you to first-hand information from each of the vendors involved. I'm just the messenger. 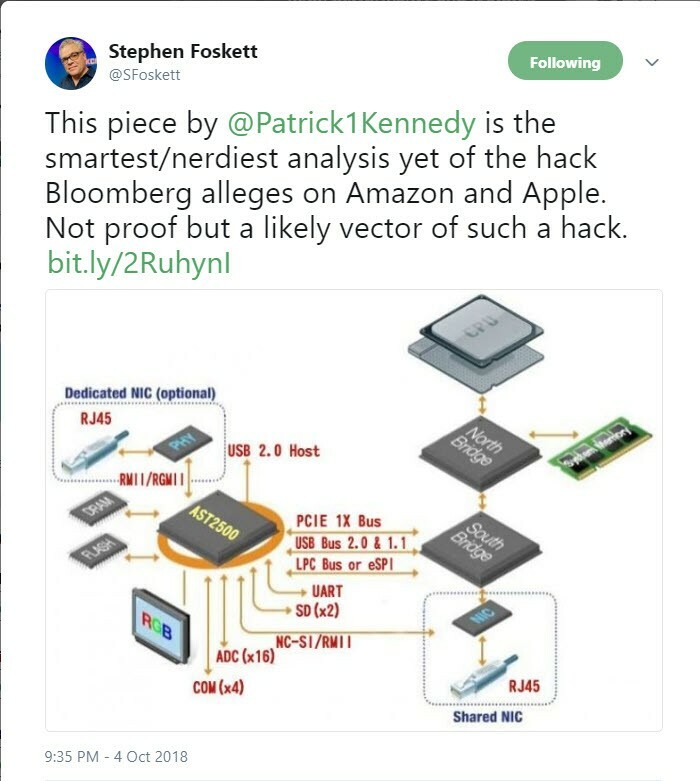 See also one of the more helpful public discussions between Stephen Foskett and Patrick Kennedy below. One nice surprise today was the gracious readers that took time to reach out to me. In their words, they each seemed to genuinely care about my little corner of the internet called TinkerTry IT @ home, and felt compelled to let me know what was happening out there as soon as possible. Which is kind of awesome, having so many people gunning for you, in this world where there's far too much negativity out there. Thank you, I certainly appreciate it. Like most folks in this business, we have very busy business hours. Stories like this can be distracting. I have so much fun in my home lab, and I look forward to getting back to all that fun with you all as soon as possible, starting with the new Microsoft releases that I downloaded just yesterday. Don't get me wrong, I'll keep tabs on this developing story. But I'll also keep moving forward, trying to share my variety pack of software and hardware experiences with as many other home lab enthusiasts as effectively as I can, in whatever spare time I can find. It's a true joy. 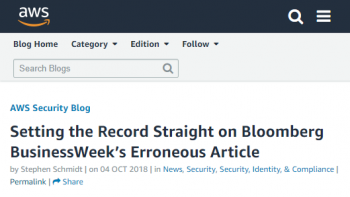 I'm an active blogger and I'm also now a VMware employee, but this article was written completely on my own accord, intended to address readers who inquire about where to find the source information. Done, sources published. 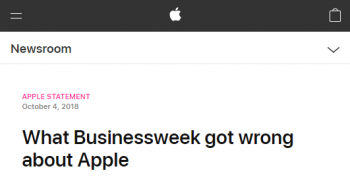 Unless something changes drastically, I'm unlikely to append updates to this article. 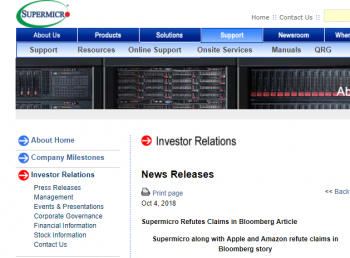 On December 11 2018, the CEO of Supermicro Charles Liang published this letter. 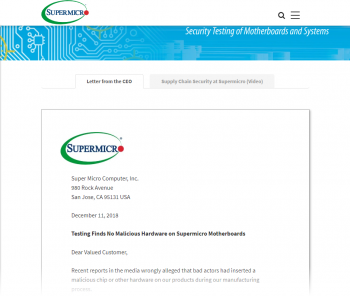 Supply Chain Security at Supermicro, published Dec 11 2018 on the Supermicro YouTube Channel. 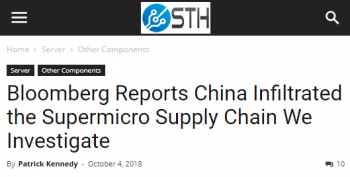 Something is certainly strange here, and at STH, we review more server platforms than anywhere else on the Internet, including those from Supermicro. We also, by chance, started diving into the BMC security space more recently so it is clearly time to investigate. During our initial iDRACula vulnerability coverage, we had a Q&A interview with one of the discoverers Jon Sands (see the interview here.) For those who missed the original article, it is worth spending a few minutes reading through iDRACula Vulnerability Impacts Millions of Legacy Dell EMC Servers.